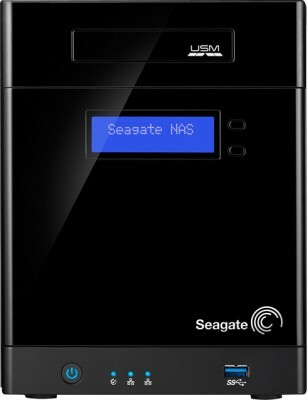 Get great discount on Seagate Business Storage Server 12 TB External Hard Disk Drive | Online India shopping best deals, discount,coupons,Free offers. CNS3420 Dual Core CPU 700MHz, 512MB DRAM, Four (4) Serial ATA II channels, Hot swappable/lockable trays, Two (2) Ethernet port, Two (2) USB 3.0 ports, One (1) USM port, 256 MB flash memory for OS, LCD Display panel with buttons.The product Seagate Business Storage Server 12 TB External Hard Disk Drive is from the famous brand Seagate. The product is currently available with the amazing discount from FlipKart.Currently a discount of 40.0% available for this product. Great discount for this product which has the original price of Rs.99999.0 and you get these amazing products for a discounted price of Rs.59999.0. Hurry up. Stock may be limited.